Welcome to Social Dhamma, a comprehensive system of principles for engaging the core teachings of Buddha (Dhamma) in group work and community development. *Correction: Workshops at Temple Byron were fortnightly but are now weekly. Hello. My name is Julian Robinson and I am the creator and founder of Social Dhamma. I have over 20 years of experience in Buddhist and non-Buddhist meditation, I have worked as a counsellor, counsellor trainer, project officer, community development consultant and social researcher and I hold a Masters degree in Community Development & Management. I have drawn upon the skills, knowledge and understanding gained through all of this experience to create Social Dhamma as my major life’s work and offering to humanity in this time of global crisis. It has taken me over a decade to develop Social Dhamma to its current high standard, and I now offer it to social & sacred activists, change makers and innovators, to thought leaders, visionaries, bodhisattvas and light-workers -- and to anyone who is inspired to participate in consciously co-creating the community foundations of a life-sustaining civillization. Are you concerned about the current state of the world? Do you feel called to contribute to the creation of a new world, one in which our current social problems can no longer arise and take root? One which expresses our most noble human potential? Social Dhamma offers a systematic method for awakening our power to co-create social realities of our choosing. It draws on the core teachings of Buddha and translates them into principles for cultivating social self-awareness, enhancing communication, enriching relationships and building community. It will be of special interest to anyone who wishes to apply the wisdom of awakening to address the critical issues of our time. The standard way to learn and practice Social Dhamma is by attending Drop-In Classes. Practice traditional Buddhist meditation together, each class emphasizing a different principle, such as mindfulness, concentration or wise attention. Learn the principles of mindfulness and apply them in mindful communication in a group. Experience a collective meditation process approaching or attaining group communion. Discover how to collectively process strong or conflicting emotions & beliefs as they arise. Create shared guidelines for conscious, intentional community building in our own communities. Understand how to use community participation and co-creation as a path of awakening. Participate in the global shift in collective consciousness. There are also several other programs in the pipeline for 2019, including one or two Intensive Retreats, a 6-week Class Series for those who can't attend a retreat, a Community Project for those wishing to collaborate, and Private Sessions (one-on-one) for participants in these groups who would like to intensify their participation in the awakening of collective consciousness. All these will be held in Northern New South Wales or the southern Gold Coast of Australia, though the intention is to also run a longer retreat in Thailand in December 2019. 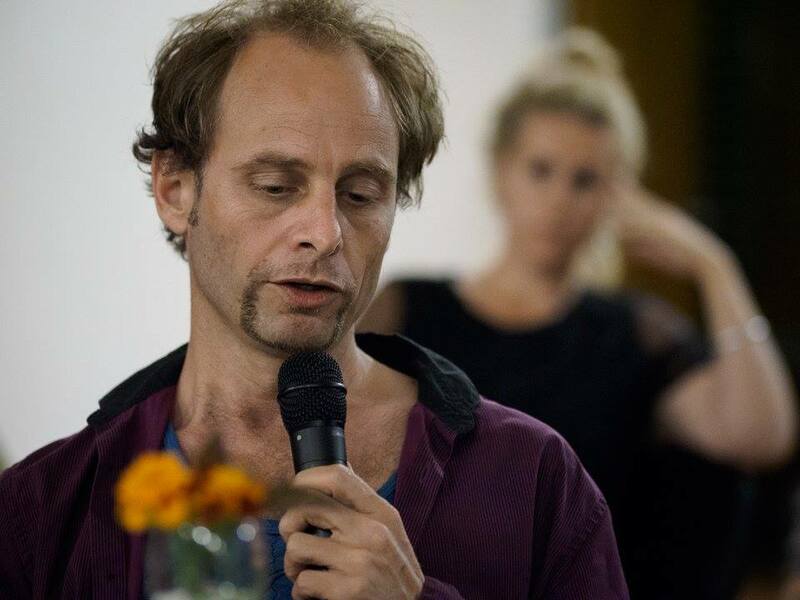 Julian facilitates weekly drop-in Social Dhamma group sessions at Temple Byron, Byron Bay (Australia). The aim is to build a community of practice, which supports its members in applying the principles of Social Dhamma both in the group as well as in the various other communities to which they belong. Exchange: $20 / $15 unwaged. Each one of us - no matter how socially isolated we may perceive ourselves to be - already has our very own 'community', which simply consists of all the people in our life. Each one of us is already a member of various other communities (eg. families, neighbourhoods, communities of interest, communities of practice, hobby groups, etc). But if we don't consciously cultivate them, communication and relationships within our community network may be more or less 'dormant'. Even if we do consciously cultivate them, there may still be room to enhance our communication, enrich relationships and be more intentional about the kinds of communities we want to create. Social Dhamma is about expanding our meditative consciousness into the social domain, activating our own community networks, and co-creating the kinds of communities that support and empower us all to express ourselves authentically and powerfully in the world. All programs have been developed and run previously, so details will be up soon. Personalised, 1-on-1 mindful communication sessions are offered to anyone who feels the need for extra support in sustaining, broadening and deepening mindfulness in daily life, and especially in social contexts. Mindfulness is usually taught as a technique. Here, it is taught as a system of principles (dhammas) to observe and apply according to conditions. This is called dhammanupassana. By learning how to observe thoughts as valid objects of mindfulness (not as 'distractions'), we can more easily sustain mindfulness in activities that involve thinking, speaking & listening, reading & writing or using phones and computers. These sessions involve setting up, sustaining and developing mindfulness through the act of communicating during the session itself. They are then tailored to meet specific needs. Community consultations are offered to community groups, community organizations or residential commu- nities, to help them to collectively identify and address shared concerns, needs and aspirations. Follow-up Meeting Facilitation is available on request, to support the sustainability of groupwork outcomes. Social Dhamma residential retreats cover the same material as the two workshop series but in more depth. A retreat offers the best way to immerse ourselves in the continuous practice of Social Dhamma. Here, we practice silent meditation and mindful communication alternately, learning to see the same principles at play in both the inner and outer worlds. In a retreat, we have more opportunities to experience states of deep communion and to access collective insight into the ways we co-create our shared social realities. For more information about the principles & practices of Social Dhamma, see the ABOUT page. For information about up-coming events, see the EVENTS page. © Social Dhamma™ Julian Robinson 2005-2019. All rights reserved.